I’ve been gardening for over 30 years. Don’t be impressed. The number of years spent with hands in the dirt doesn’t necessarily confer any particular expertise in the field (pun intended). 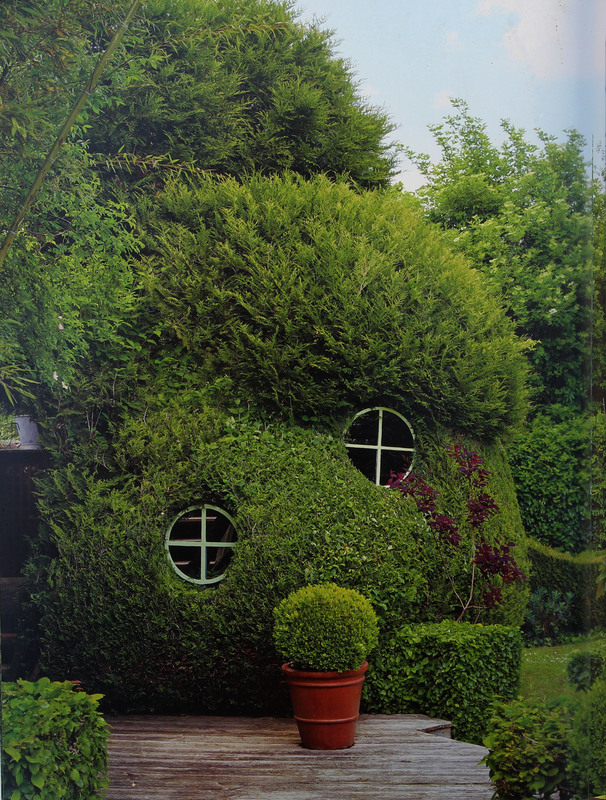 Some gardeners do the same foolish things year in and year out, or never sufficiently investigate other, perhaps better, ways of doing what they’ve been doing. Or not appreciate cause and effect. (Was it really the compost tea spray that led to bountiful yields last year, or was it reliable rainfall interspersed with bright, sunny days? The tendency is to hold the former responsible.) Or, the wizened, old gardener’s wealth of knowledge might not extend beyond what they’ve grown on their own “back forty,” severely limiting the benefit of any wisdom passed on to others with a shorter history of gardening. Reading is a efficient way to squeeze wisdom of others, reflecting decades of digging, pruning, and seed-sowing, into just a few years, for yourself — depending, of course, on the weight of the words. The fact that so many gardeners have always gotten by with little or no reading is testimonial to millions of years of evolution that makes every pea seed naturally want to grow and every apple tree naturally want to bear fruit. So, in the spirit of becoming better gardeners, especially this time of year with nothing to do in the garden, let’s thumb through the pages of three worthy books that recently found a place on my desk. Did you know that the hose was invented by Jan van der Heijden in the 17th century? Tarred canvass, linen, and hand-stitched lengths of leather pipe were all predecessors of the modern garden hose, all of which I learned from Bill Laws’ A History of the Garden in Fifty Tools. It wasn’t until near the end of the 19th century that technology and marketing brought hoses into more general use in gardens. Just imagine having to water your garden with repeated trips to the spigot with your watering can, another of Mr. Laws’ “Fifty Tools.” Not that the garden hose has displaced watering cans, which have been around in various incarnations for hundreds of years and may have reached their peak in functional and visual elegance with the work of John and Arthur Haws. Haws cans are still made; my 2 gallon, galvanized Haws watering cans have served me and my plants well for over 20 years.
. . . Fifty Tools will not, admittedly, make anyone a better gardener. 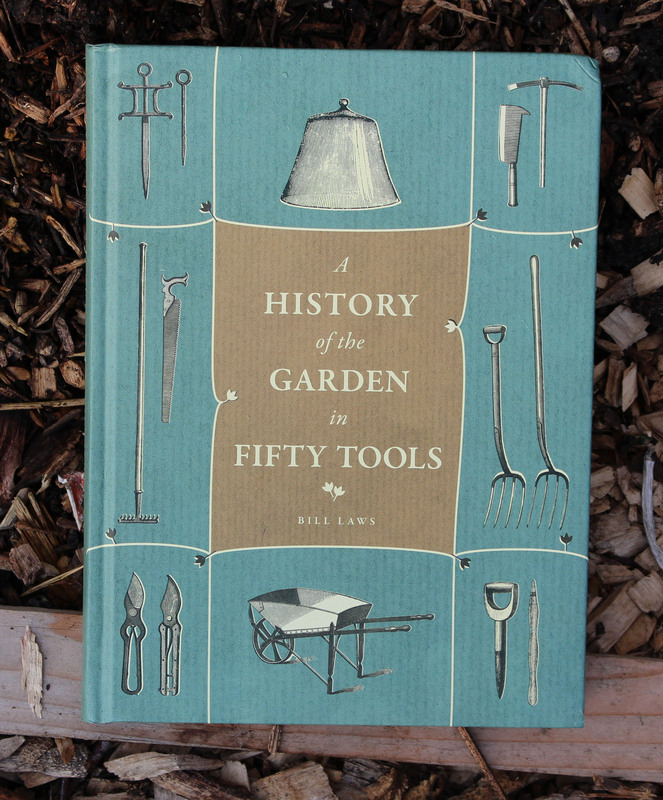 Instead, it’s a very interesting history of 50 gardening tools with — okay, this might be some help in the garden — sidebars, “Tools in Action,” telling of the best use of each tool. Some listing are a stretch of the word “tool:” a radio, a scarecrow, separate entries for plant container, terracotta pot, and stoneware urn? I would have included the garden cart, pitchfork, and hori-hori knife as necessary garden accoutrements. In and Out of Paris: Gardens of Secret Delight by Zahid Sardar, with photographs by Marion Brenner is slightly more practical than A History of the Garden in Fifty Tools, even if I’m not planning to garden in Paris or like a king. The first section, eye candy, has the usual gardens of a literally majestic scale: Versailles, the Tuileries, Vaux-le-Vicomte, etc. Sections on private gardens are more inspirational for us non-royalty. Most of the gardens, whether majestic or small, are typically French, with long views or symmetric arrangements. Not one of the gardens, though, the 1000 square foot Japanese garden near the Bastille, with carefully placed, but not seemingly so, boulders nestled into mosses, lichen bordering a koi pond. Walls shield the garden from the sight and sound of the surrounding city, the effect softened with clumps of bamboo and a mix of evergreen and deciduous trees. One of the most interesting gardens is the Experimental Parc Méry-sur-Oise, which started life as the historic Renaissance-era Chateau de Méry-sur-Oise. More recently, in 1999, the grounds were re-done, this time with water features, not traditional fountains, but misty, hot, cold, brackish, and mineralized water that rains down from above or tumbles over waterfalls. Long-term goals, the “Experimental” part of the garden, include observations of the effects of the various waters on plants and the ecosystem over time. Elsewhere are free-standing gabion walls planned for vertical gardens. That never happened. Money ran out and the gardens have been neglected since 2003 — a modern, neglected garden! 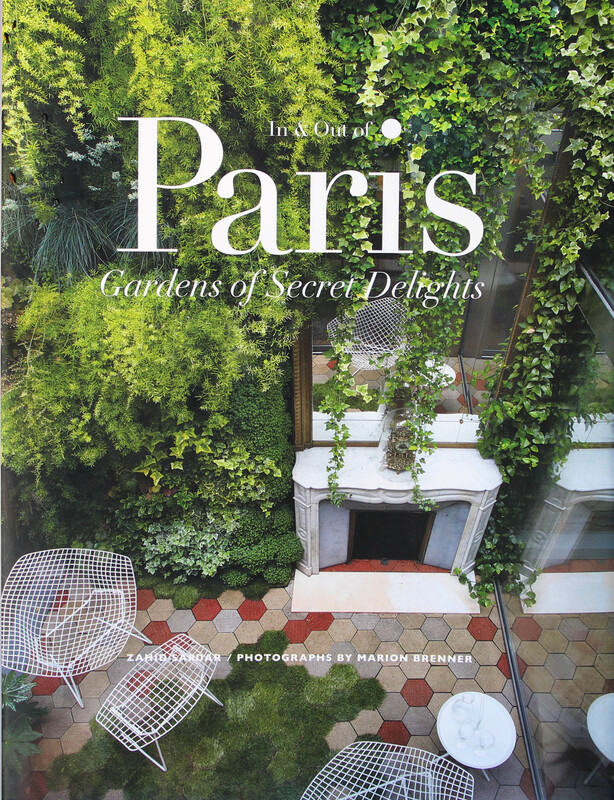 In all honesty, I mostly just looked at the beautiful photographs of In and Out of Paris: Gardens of Secret Delight. Even if you are a backyard gardener rather than a market gardener, The Market Gardener, by Jean-Martin Fortier, will have you harvesting more and better tomatoes, and with less effort. Two themes of this book, as I see it, are planning and record-keeping. The author is a successful market gardener in Quebec, grossing over $100,000 from a mere acre and a half of land. The growing units on Jean-Martin’s farm are raised beds 100 feet long by 30 inches wide. Having all beds the same makes it easy for him to calculate the amount of compost needed and keep track of yields. The latter are spelled out in a handy chart showing days to maturity and yield of individual vegetables per 100 foot bed. I haven’t calculated yields from my 17 foot by 36 inch wide beds, but do know that I need to plant 4 beds at two week intervals to harvest our fill of sweet corn to enjoy during summer and, frozen, through winter. Another useful table spells out spacing of transplants, in flats and in beds, and another lists dollars reaped per bed from various vegetables. The only other gardening book that quantifies small-scale vegetable growing so well, in this case strictly backyard growing, is Burrage on Vegetables, from 1954, by Albert Burrage. How times have changed: Burrage is pictured in his garden in sport coat and bow tie; farmers in Jean-Martin’s book are pictured dressed as, well, farmers. The book also has the requisite listing of each vegetable along with growing information as well as useful chapters on soil care (generally good but with some misconceptions) and microclimate. One particularly simple, cheap yet innovative technique described for weed control after harvest, between plantings, is covering a bed for 2 weeks with a reusable 6mm thick, black silage tarp. Jean-Martin emphasizes that it is possible for farming and gardening to be, at the same time, productive and bucolic only with planning and organization to avoid wasting time. In so doing, he can be a farmer who can put in a workday from a reasonable 8 to 5. Charles Dudley Warner wrote in his 1870 classic My Summer in the Garden, “Blessed be agriculture! If one does not have too much of it.” I agree. Some good conferences and lectures coming up. I’ll be in Pennsylvania and Vermont talking about espalier fruits, weedless(!) gardening, growing hardy kiwifruit, pawpaws, and blueberries, the efficacy of compost tea, and pruning fruits. For details, see my “Lectures” page. 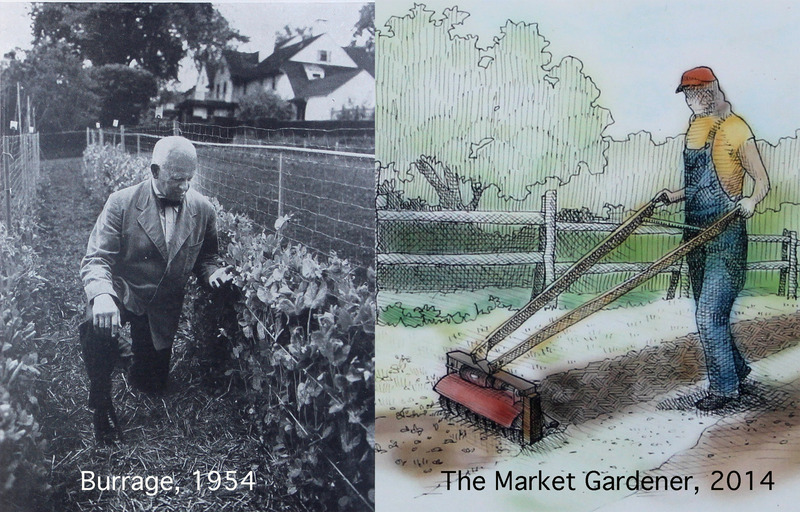 This entry was posted in Books, Design, Gardening, Planning, Tools, Vegetables and tagged The Market Gardener. Bookmark the permalink. Trackbacks are closed, but you can post a comment. « NOTHING TO DO? SEQUESTER CARBON? Some good reads here it looks like. I always love a good book. The 50 tools really intrigues me. Last season I gardened with a hori hori knife for the first time and now I do not know how I could have ever gardened without it! 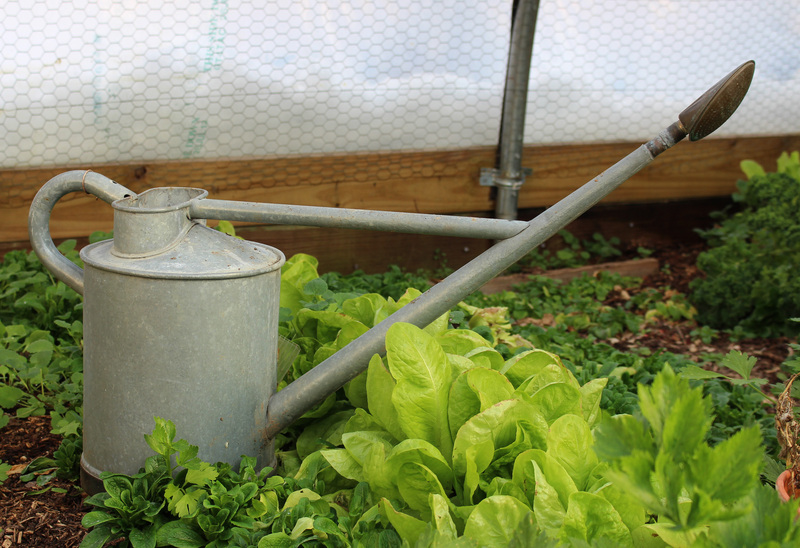 Tools do make gardening so much more efficient and easier. I prefer hand held tools that don’t require gas, a battery or plug. I like peace and quiet while gardening – the bees, the birds, the breeze, etc. 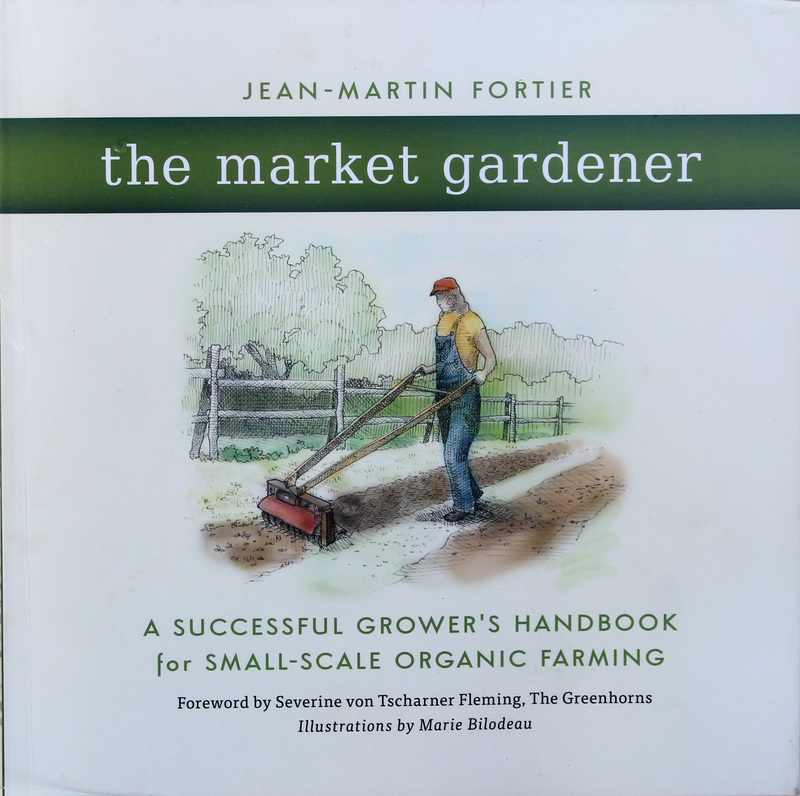 This book looks “hand held.” The Market Gardener also intrigues me. And of course, I absolutely love to look at pictures of beautiful gardens. Thank you. Can you expand on this further? I have your grow fruit naturally and pruning book as well as the market gardener. In which book of your do you talk most about soil care and how does it differ from the market gardener? Without going into too much detail, there’s little to support his recommended use of ramial wood chips vs any old wood chips. Same goes for use of the broadfork, unless the soil is very, very heavy, and then a one time use should suffice if traffic is avoided on the beds. His recommendation to add perlite or other coarse material to planting holes in heavy soils is counterproductive, leading to a perched water table. There are more misconceptions, mostly minor; as I wrote, The Market Gardener is generally an excellent book. I cover soil care most thoroughly in my book Weedless Gardening.